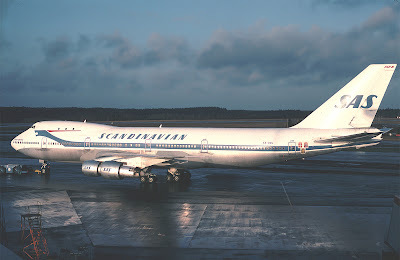 blog.Habrador.com: What can the airliner SAS teach us about how to focus on our customers? What can the airliner SAS teach us about how to focus on our customers? The book Moments of truth tells the story of how the Scandinavian airliner SAS went from an aircraft-focused company to a customer-focused company. Yes, you heard right, SAS used to prioritize their planes - not their customers. The book was written by the former SAS CEO Jan Carlzon, who was also responsible for the change of focus in the 1980s. I don't believe that it was the intention of the old SAS to not focus on their customers, no-one at the company did it on purpose. Many organizations today believe that they are focusing on their customers, but in reality they are focusing on their products. If you are going to focus on your customers, you have to let the employees at the floor make up their own decisions - and it will always involve taking risks of making the wrong decisions. Sure, you may lose money short-term - but your customers will be more satisfied with your company long-term. If 10 million customers are meeting five employees each time they interact with the company, the total amount of meetings will be 50 million. You can't control these 50 million meetings with standardized rules and instructions from the top. An American businessman stayed at a hotel in Stockholm before he went to the Arlanda Airport outside of Stockholm. At the airport, he realized that he had forgotten his ticket at the hotel. The old way: SAS would have probably said something like: "No ticket, no flight!" The new way: SAS gave him a temporary ticket while sending a car to his hotel to pick up his lost ticket. The ticket from his hotel arrived before the aircraft departed from Arlanda Airport. SAS probably lost money since sending a car to pick up a ticket is not free, but the customer was happy and could tell his friend about the event. Make sure your customers are understanding what you are saying. SAS offered a 50 percent discount to everyone aged below 27. The old way: The discount was named Y50. No-one understood what it meant and no-customers used the discount. The new way: The discount was re-named to the Hundred Note. The price of the ticket was 100 SEK, and everyone understood the meaning of the Hundred Note. The Result? 125,000 more customers the first summer. When you are oriented toward your customers, your are probably in the business of providing your customers with a service in addition to the basic product. The old way: SAS is in the airline business. The new way: SAS is in the service business, transporting people in the safest and most efficient way possible. The old way: The planes at the Copenhagen Airport were being positioned at the departure gate that was most convenient for the planes. The customers had to move around the terminal to find the plane. The new way: The planes had to be moved around the airport to the departure gates most convenient for the customers. The old way: Jan Carlzon took a two weeks long vacation at his country house. But as soon as he arrived, the phone began ringing, and it kept ringing with unimportant question from people at the office. After a couple of days answering the phone, Jan Carlzon had to go back to the office. The new way: Jan Carlzon took a four weeks long vacation and the phone was silent during the four weeks.